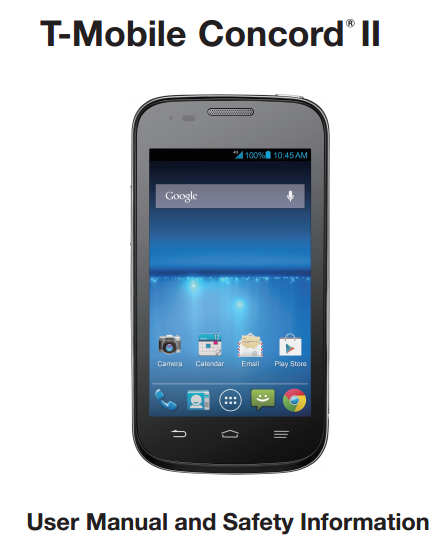 Here we provide information about T-Mobile Concord II Manual aka ZTE Z730 user guide in pdf format. For owner of this smartphone, now you can download the manual at support.t-mobile.com. 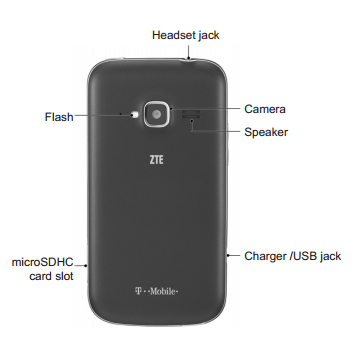 The T-Mobile Concord II / ZTE Z730 User Manual consisting of 150 pages. It's available in english language. The mnul contins many reference informtion such as Getting to Know Your Phone, tutoril how to Installing the SIM Card, microSDHC Card, and Battery on page 14. Then abou tLocking/Unlocking the Screen and Keys, Using the Touch Screen, Setting the Date and Time, Changing Screen Brightness, ProtectingYour Phone With Screen Locks, Changing Ringtone and Notification Sound, Monitoring the Phone Status, Managing Shortcuts and Widget. 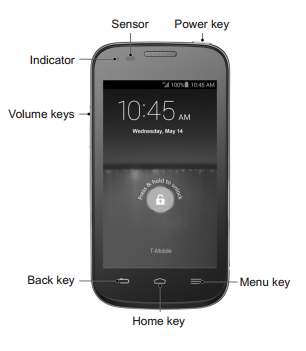 The ZTE Z730 user guide also provide detail information such as Connecting to Mobile Networks, Connecting to Wi-Fi, Connecting to Bluetooth Devices, Connecting to Your Computer via USB, Connecting to Virtual Private Networks, making phone calls, Using Options During a Call, Importing, Exporting, and Sharing Contacts, Set Up the First Email Account, Changing General Email Settings, using messages, Google+, using browser, Changing Browser Settings, using maps, using cmera, recording video, Managing Video Files, using apps, using tsk mnager, ply store, troubleshooting, safety, Backup and Reset, Factory data reset and more.